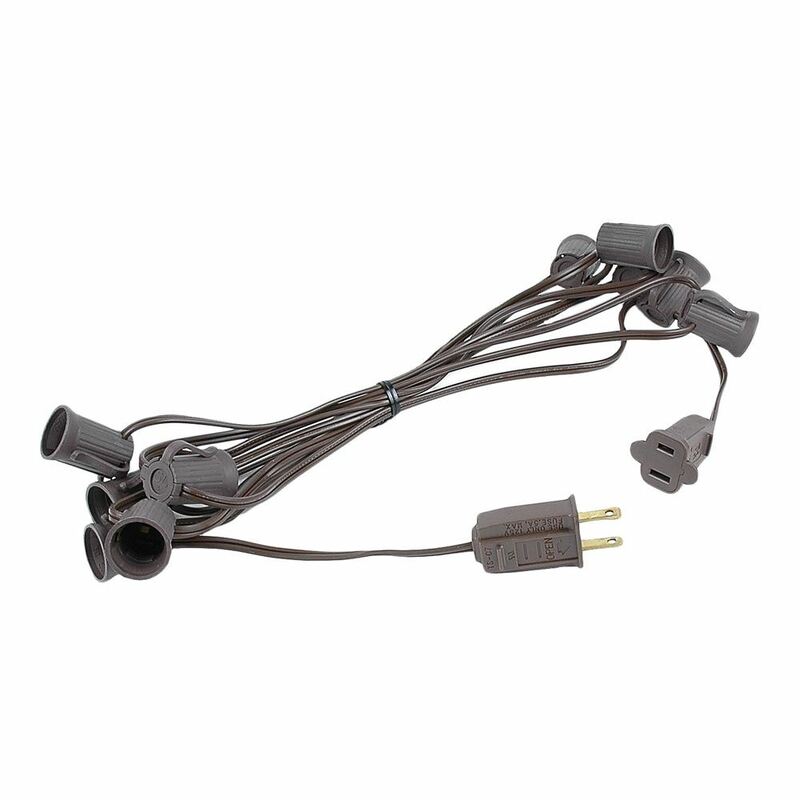 Our C9 stringers are durable and long-lasting for exterior and interior applications. 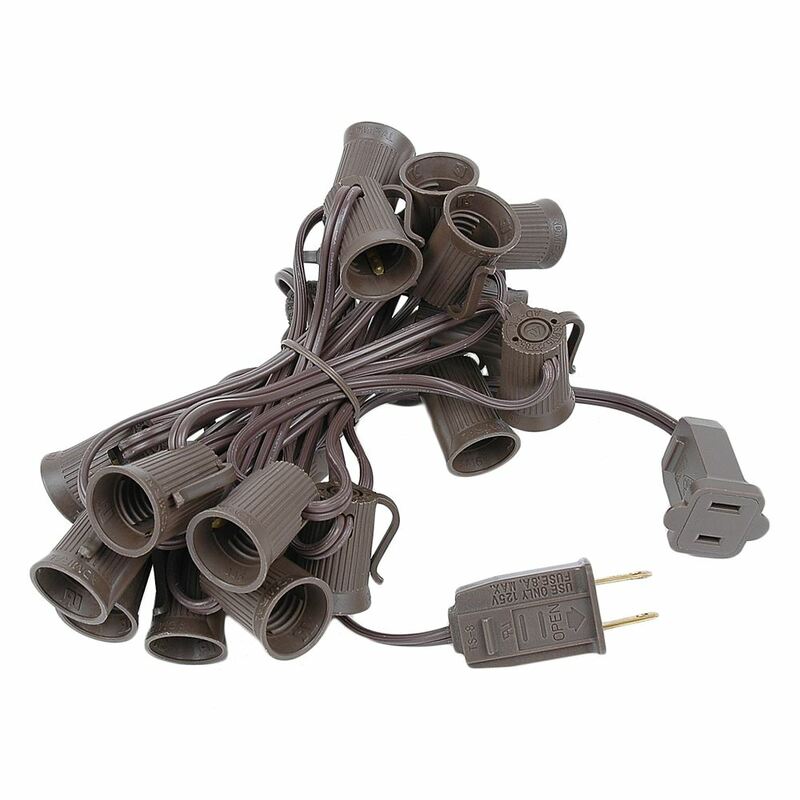 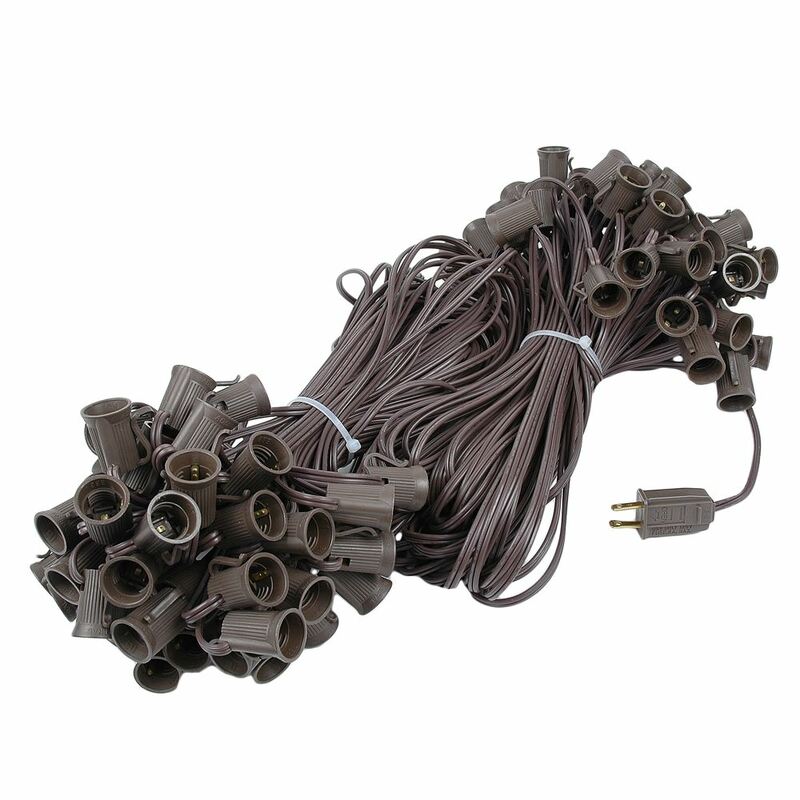 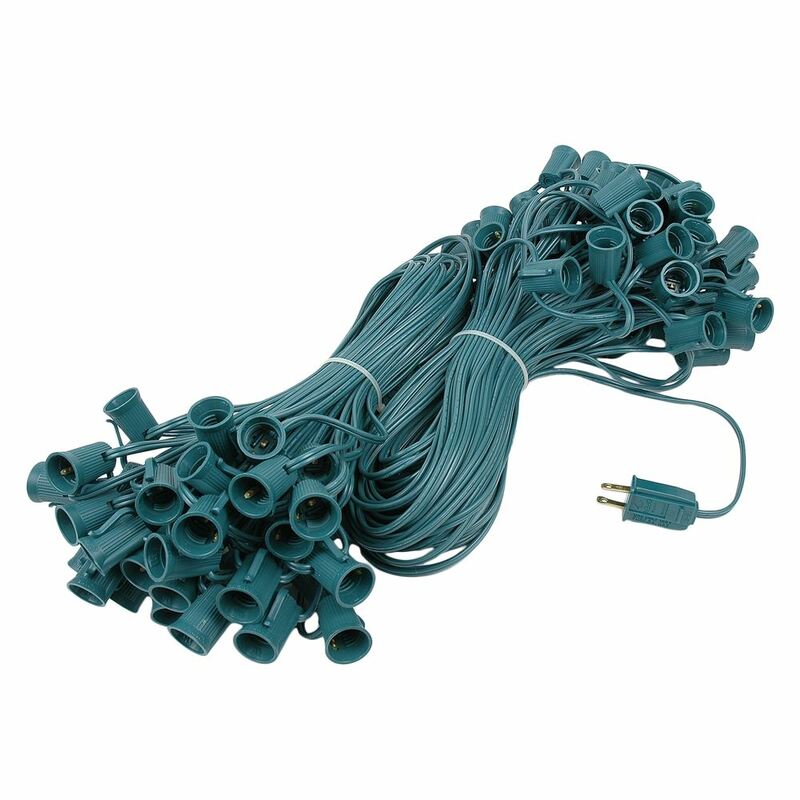 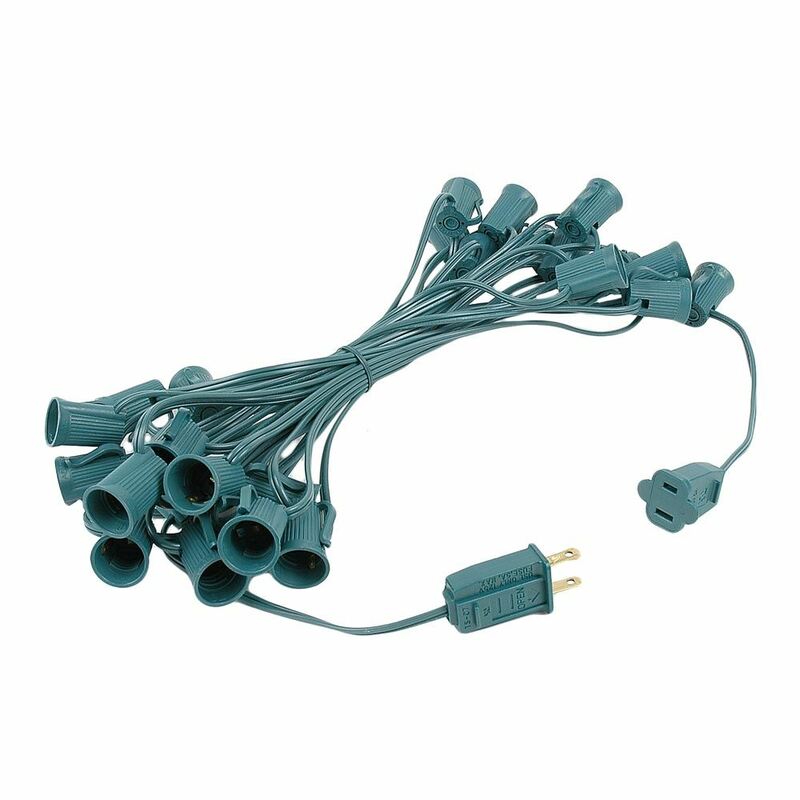 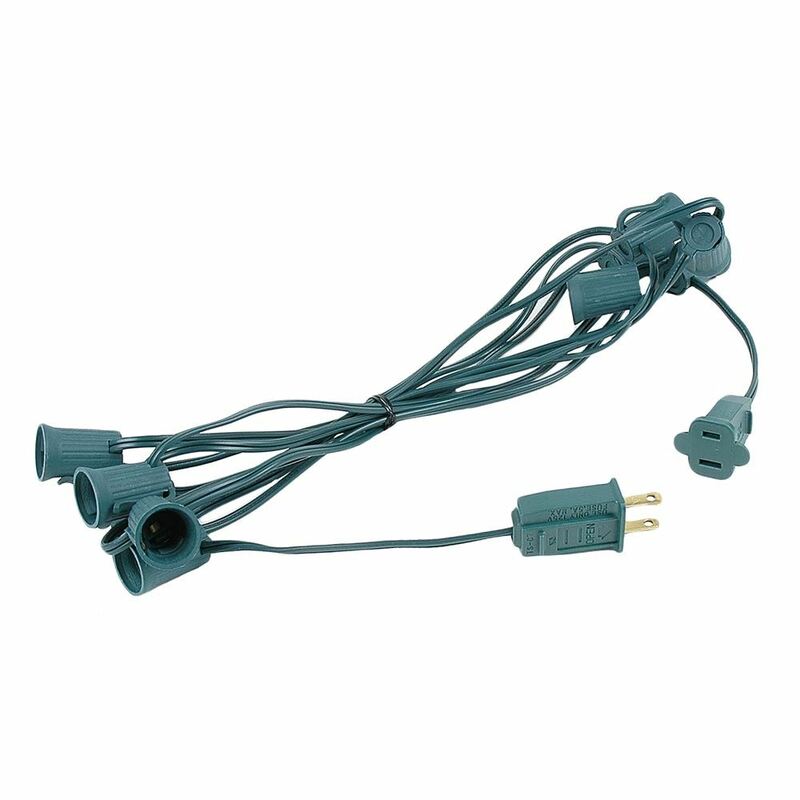 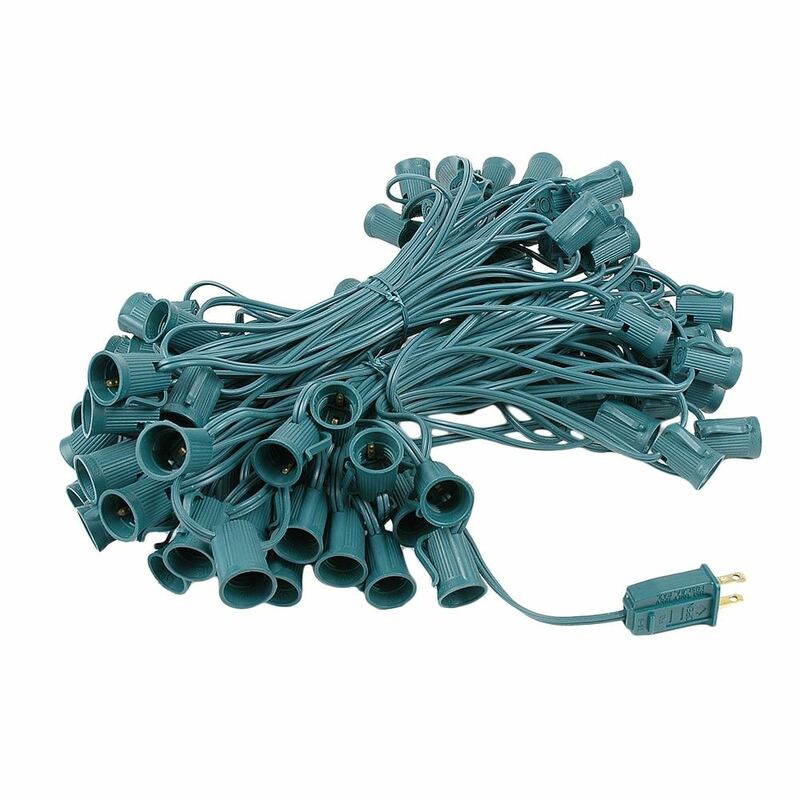 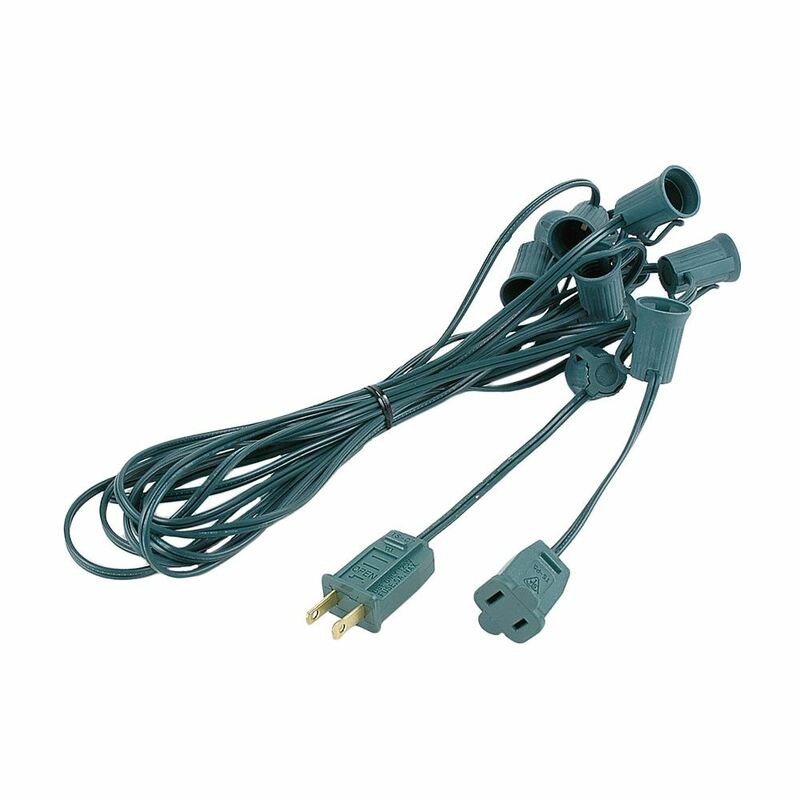 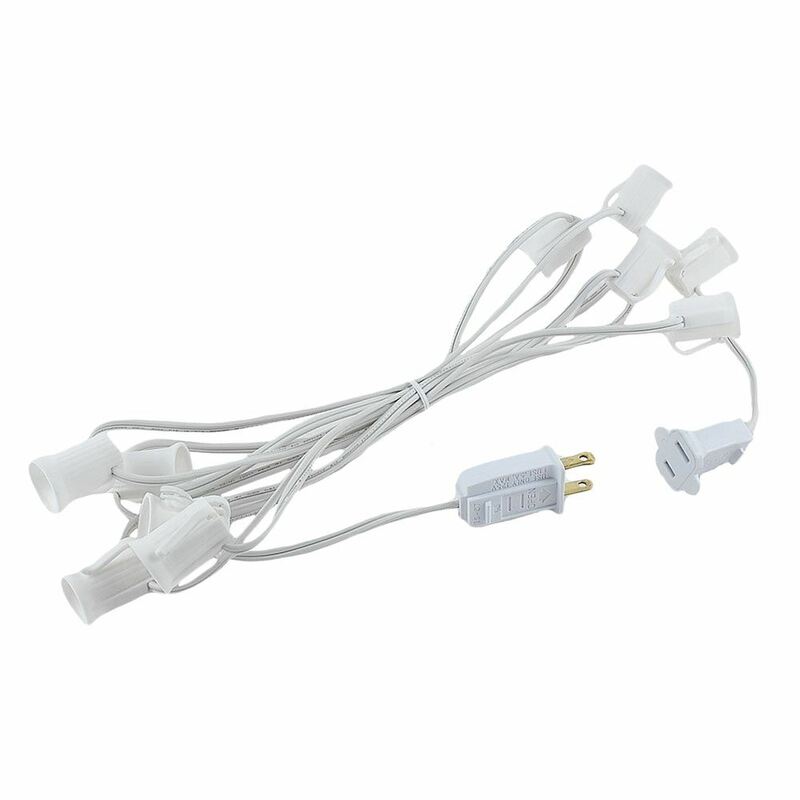 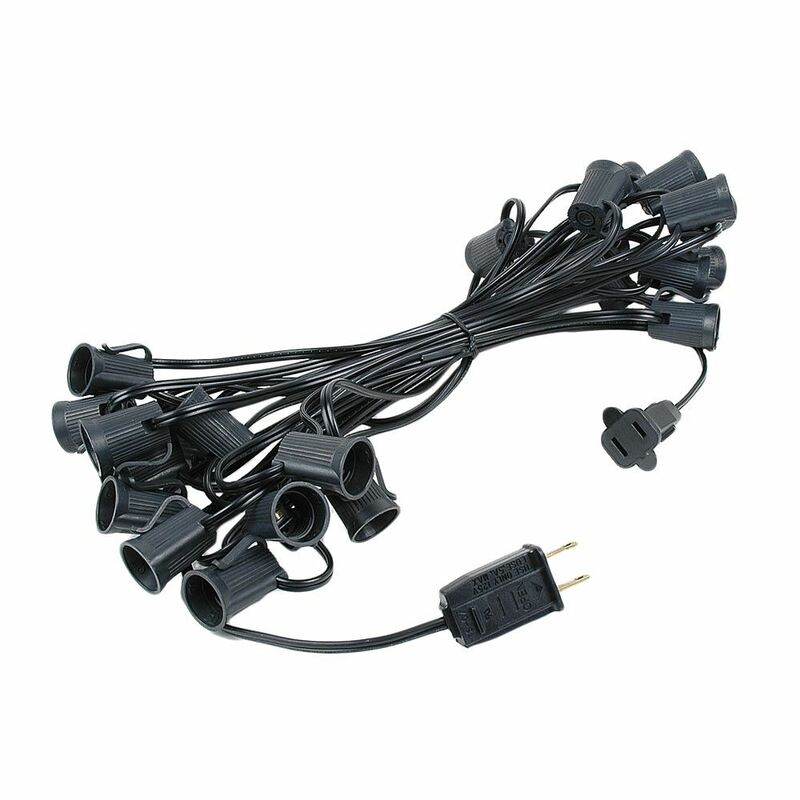 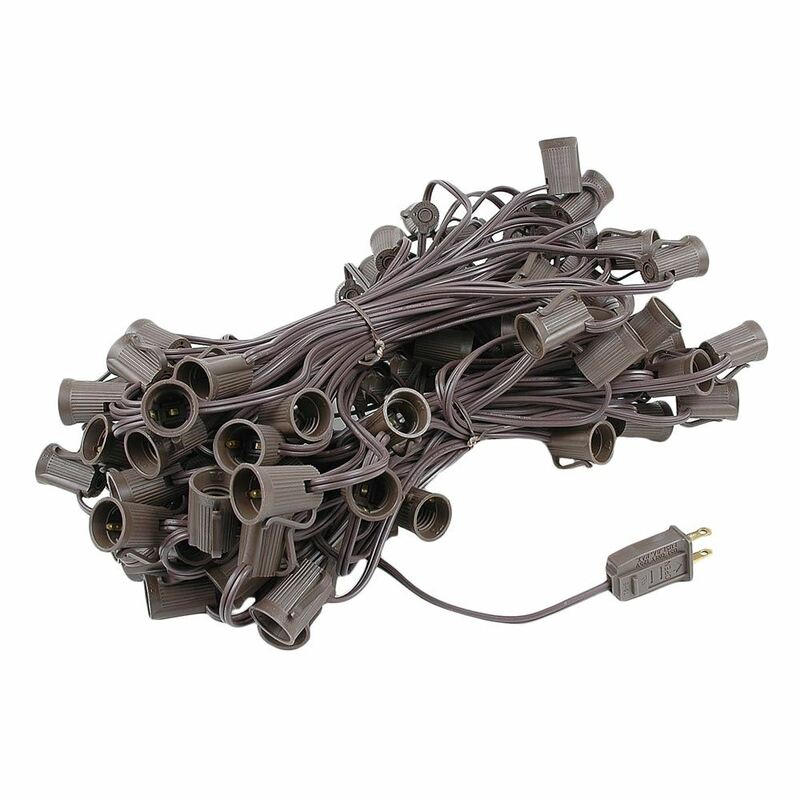 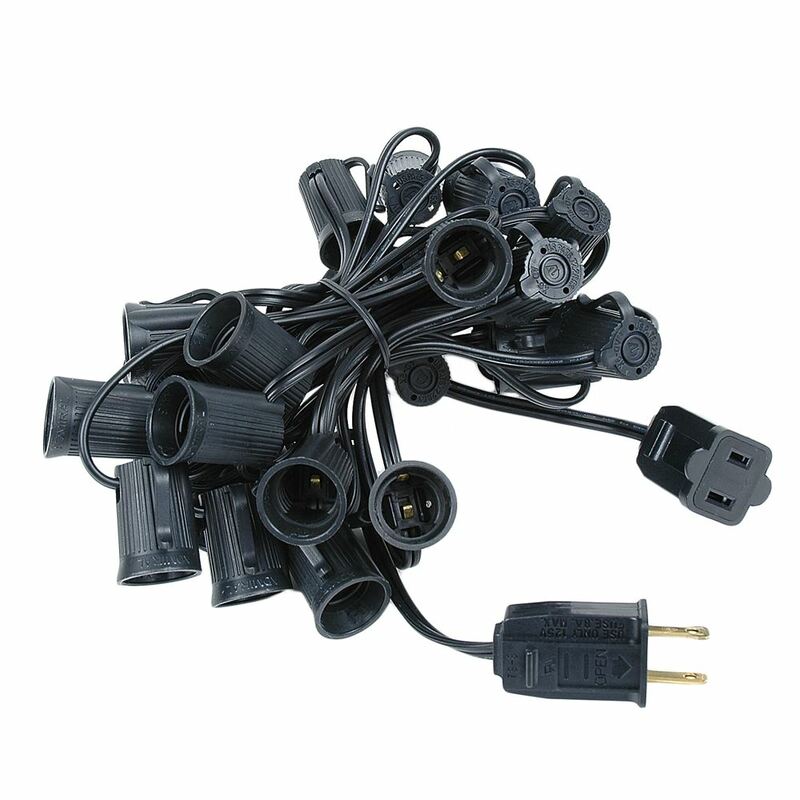 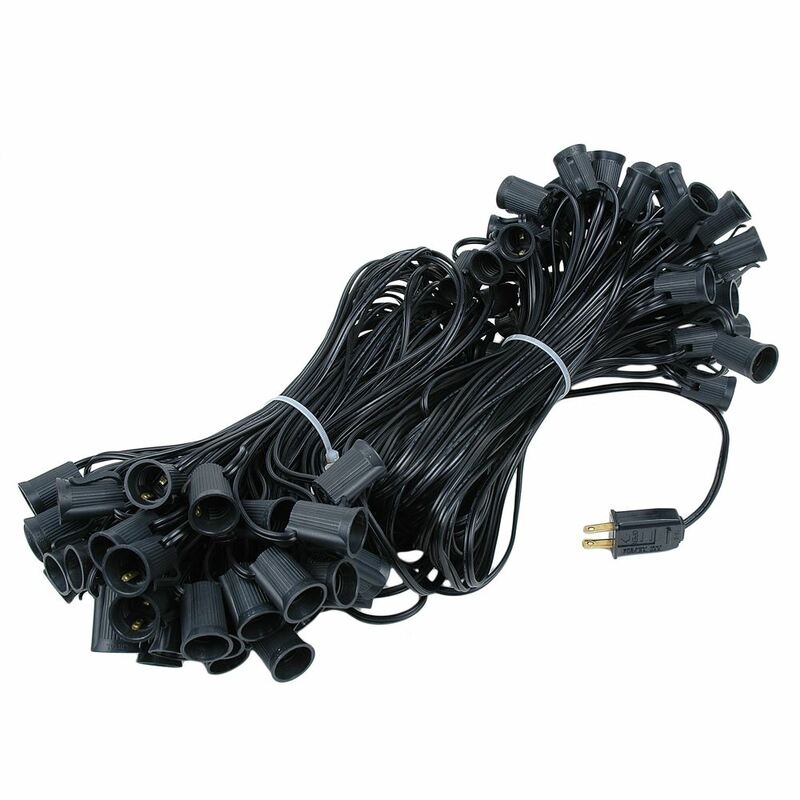 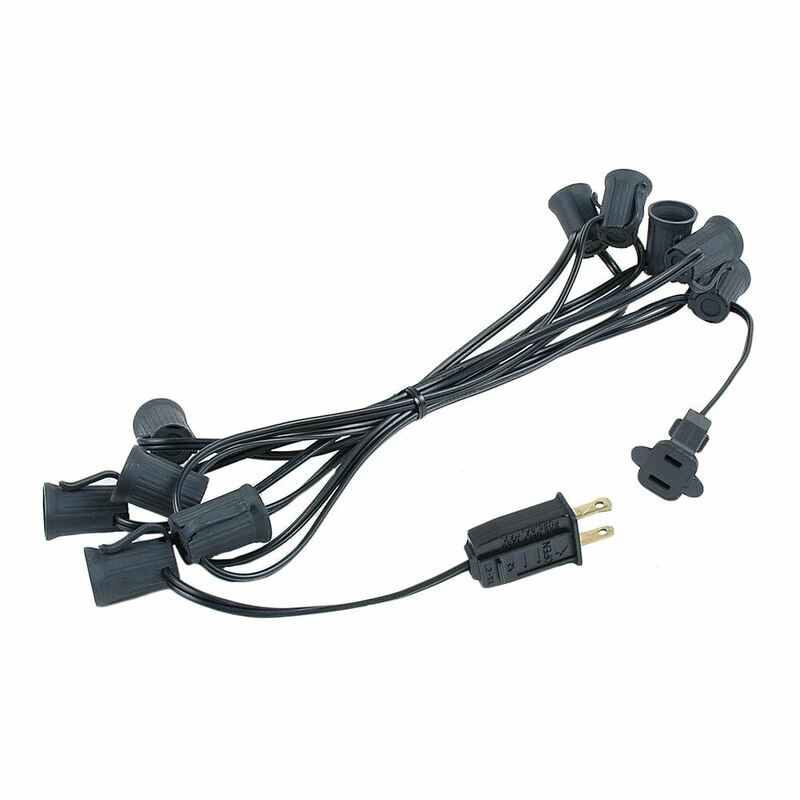 These are Available in 25-foot and 100-foot lengths on Green, White, Brown or Black wire with 12" spacing. 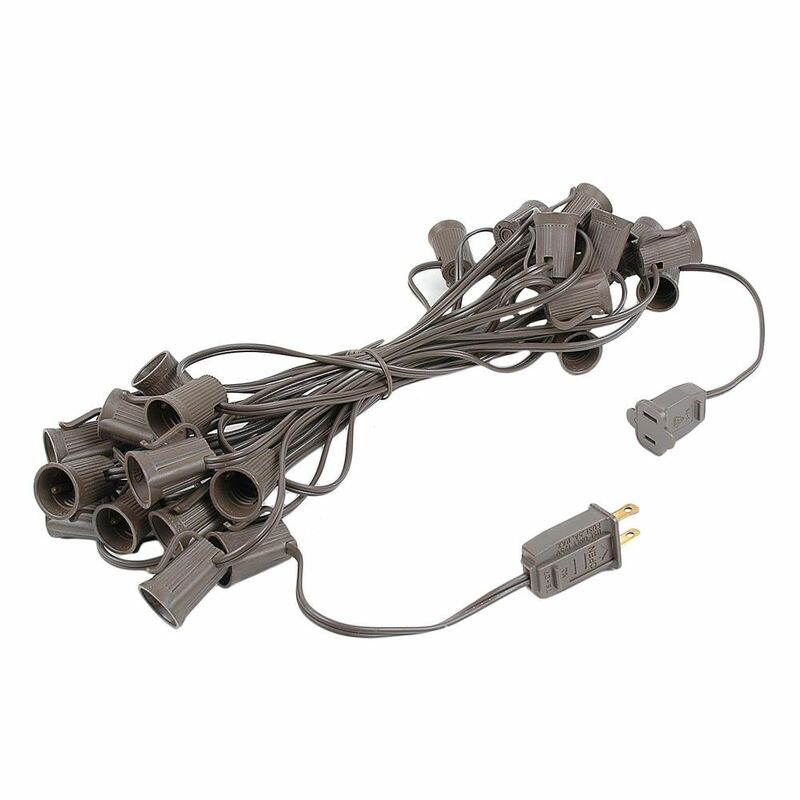 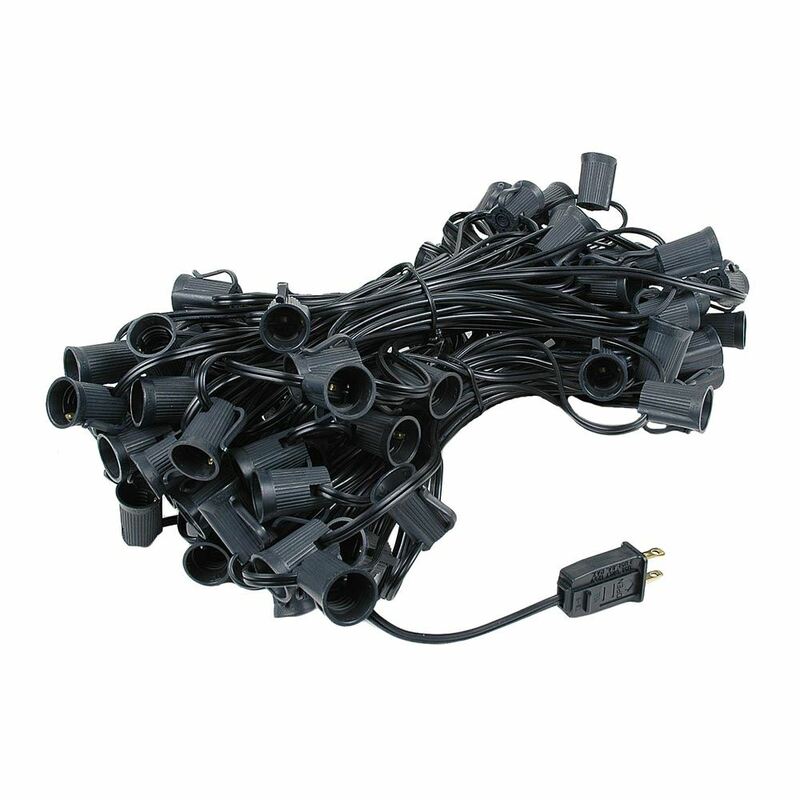 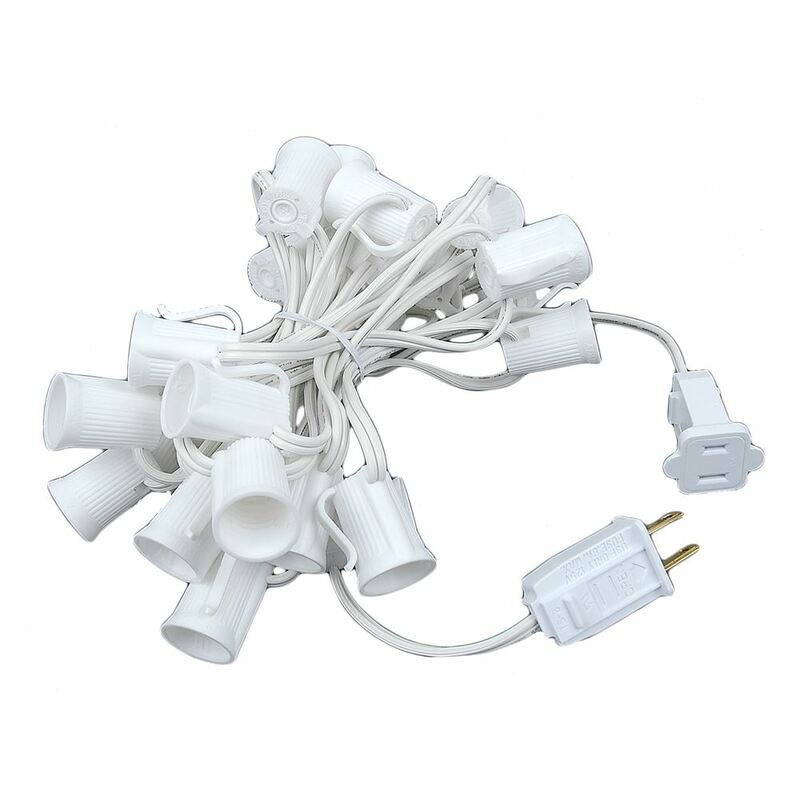 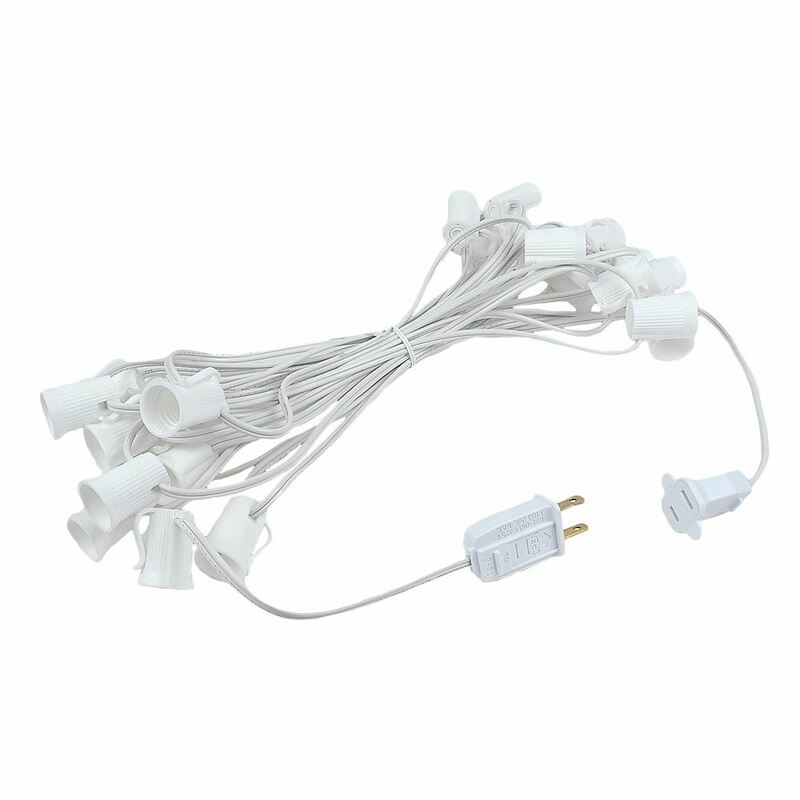 These Christmas light strands can be connected end to end to illuminate your home, business, or landscaping. 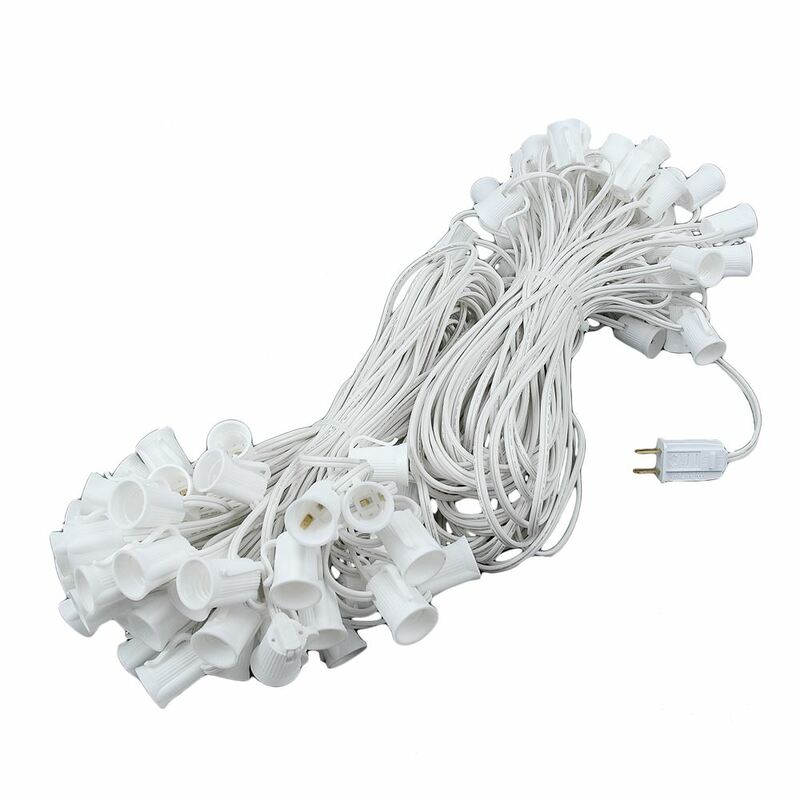 These stringers will fit our traditional C9 ceramic, C9 transparent, C9 twinkle, and G50 globe bulbs as well as C9 LED, and G50 LED bulbs. 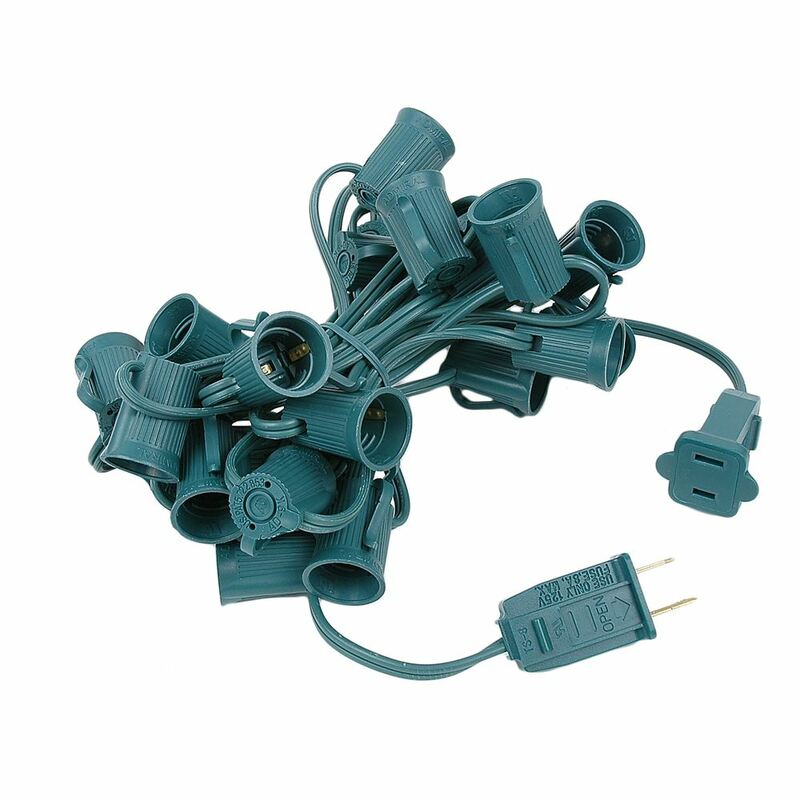 The Bulbs are sold separately so that you can choose a traditional single-color, multicolor scheme, or perhaps configure your own more unique combination of color than what you can buy at the store. 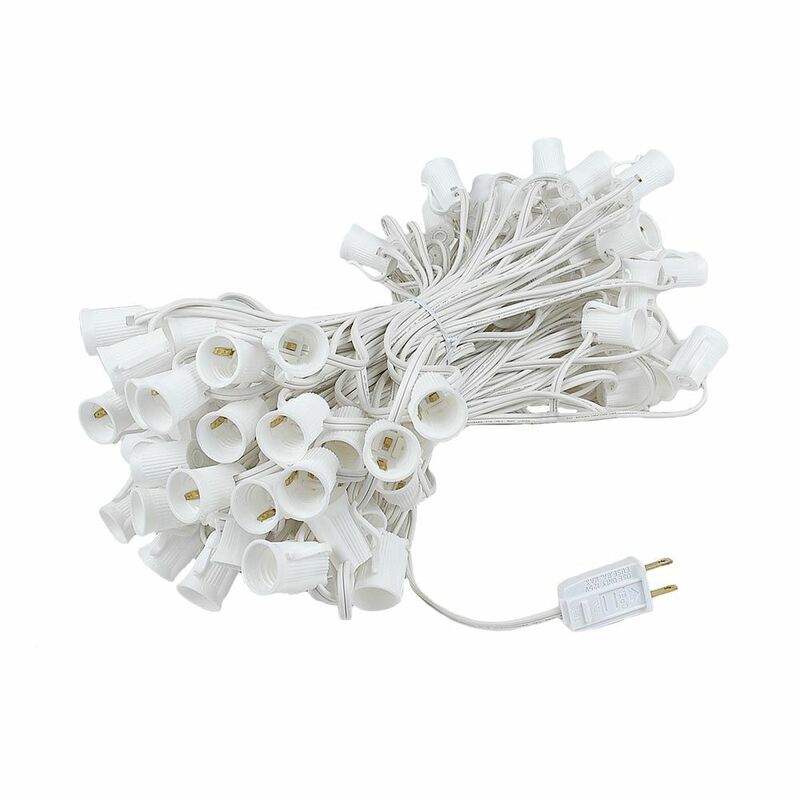 If you think your project will require greater lengths of stringers, then look into our bulk 1000' reels that are more suitable for larger holiday lighting displays.